The Richard Crane Memorial Truck Show is a can't-miss event. These show trucks are really something to see. Check out the trucks on display during the day Friday and Saturday, then stay into the evening for the dazzling display of lights. 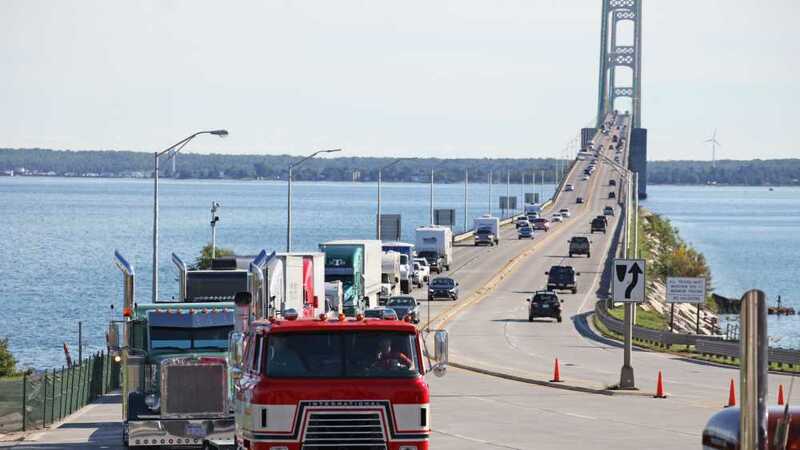 Saturday night's Parade of Lights is one of the most anticipated events of the year; over 200 decked out lit up semis parade across the Mackinac Bridge at dusk, honking horns and pulling jake brakes all the way. Also check out the 50+ vendors, model truck show, and silent auction benefiting the Richard Crane Memorial Foundation and the International School of Trucking. Want to register a truck? Contact the National Association of Show Trucks.